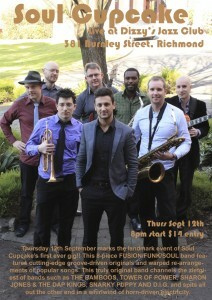 Get on down to Dizzy’s Jazz Club, Thursday 12th Sept to catch the landmark event of Soul Cupcake’s first ever gig!! This 8-piece fusion/funk/soul band features cutting-edge groove-driven originals and warped re-arrangements of popular songs. This truly original band channels the zietgiest of bands such as The Bamboos, Tower Of Power, Sharon Jones & The Dap Kings, Snarky Puppy and D.I.G. and spits it all out the other end in a whirlwind of horn-driven electricity. We’re only one month away from the first ever ‘Soul Cupcake’ gig! 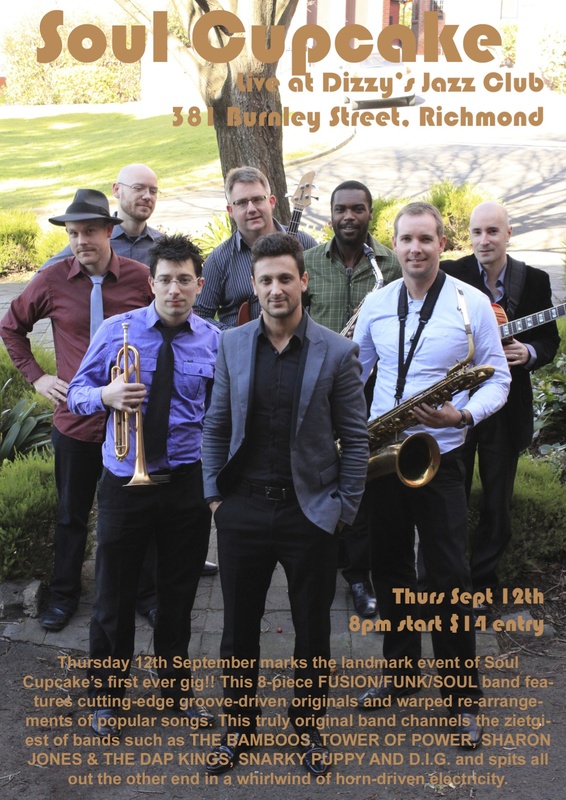 On Thursday 12th Sept ‘Soul Cupcake’ play their first ever gig at Dizzy’s Jazz Club. This 8-piece band with vocals are amazing!